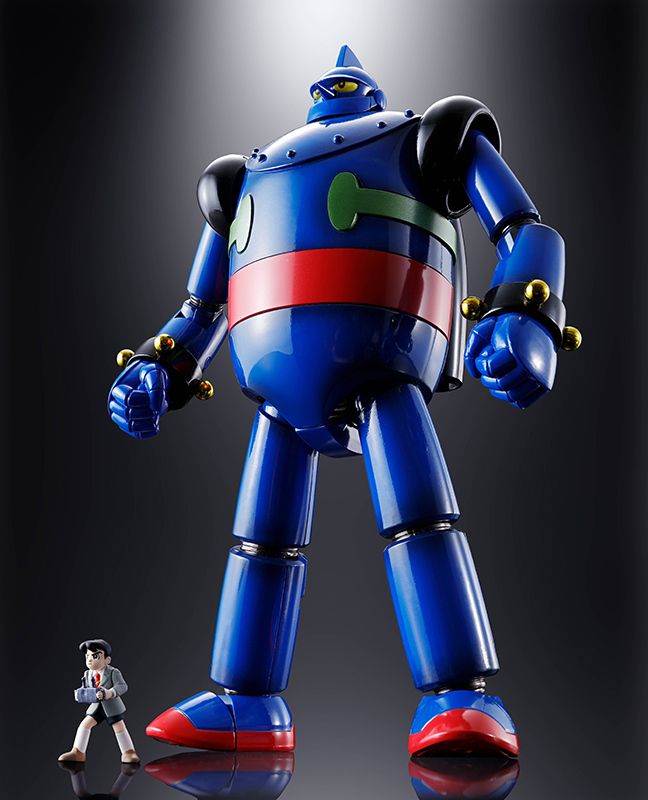 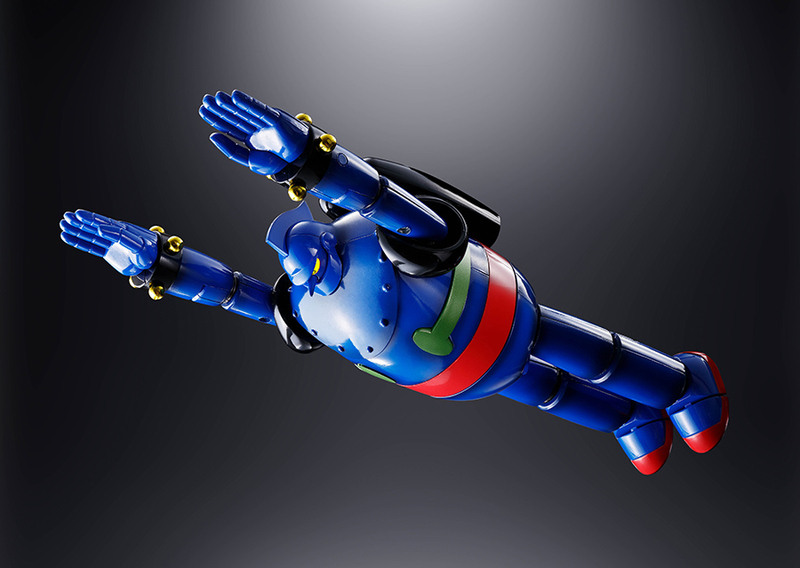 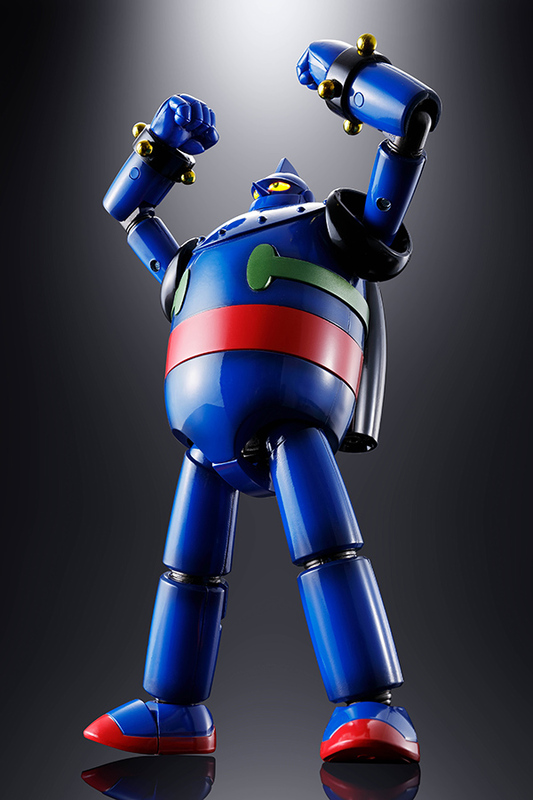 Tetsujin 28, the ancestor of all super robots, rejoins the SOUL OF CHOGOKIN series! 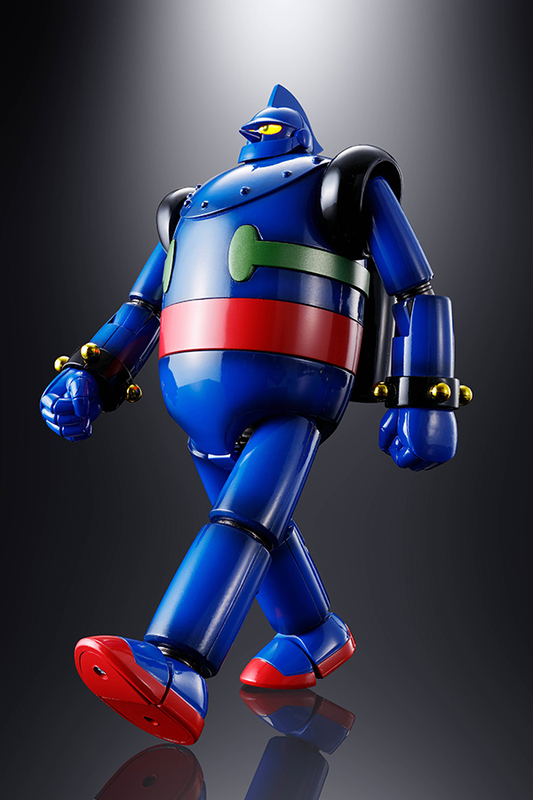 Heavy metal! 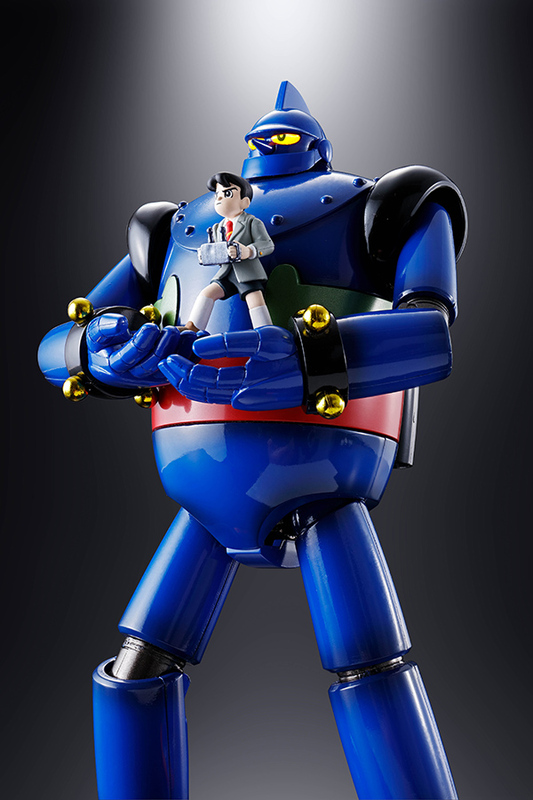 Light-up eyes! 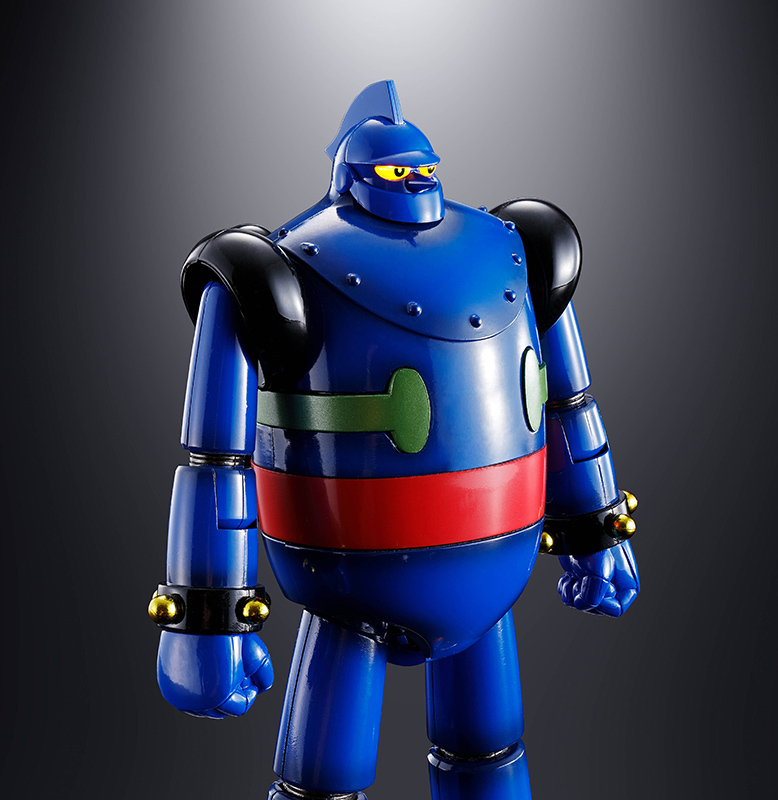 And a new sound feature bring this classic of anime lore to life on your desktop. 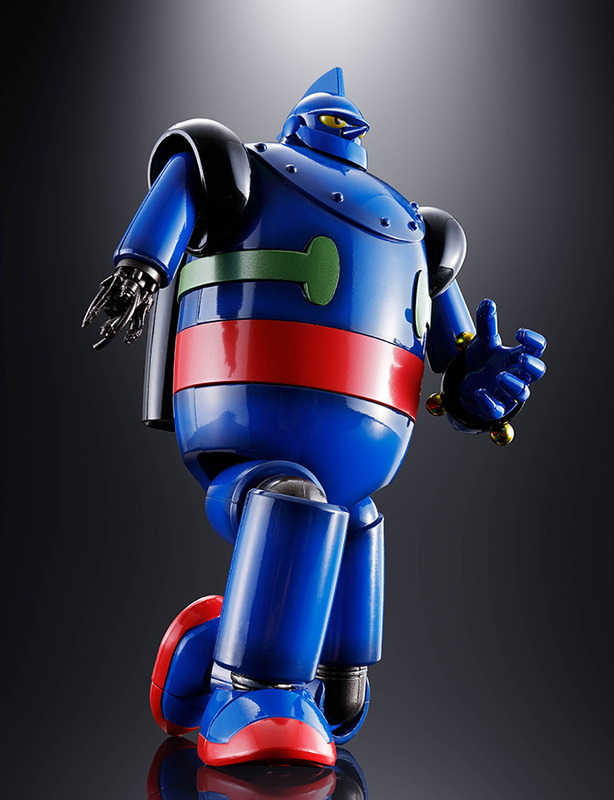 Newly finished in a stylish blue designed to evoke the manga appearance of the character, the figure has also been revised with an internal speaker for sound effects. 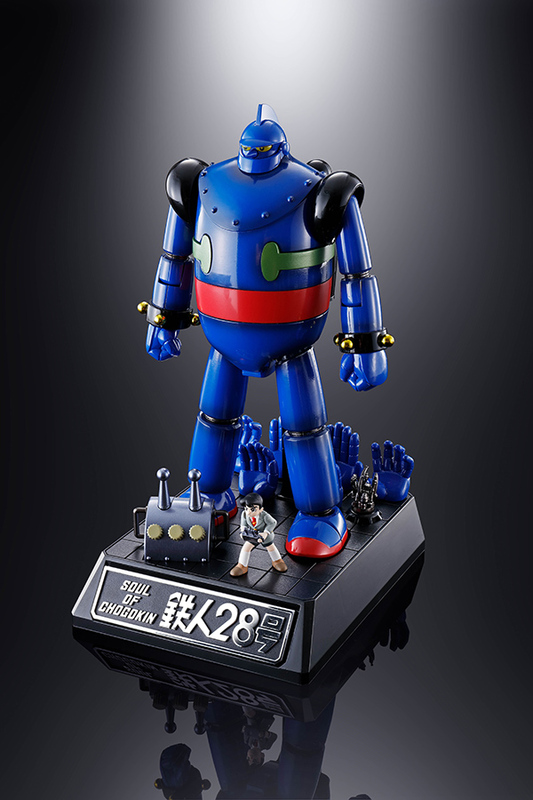 An included remote control lets you command Tetsujin 28 to roar and play the anime theme song! 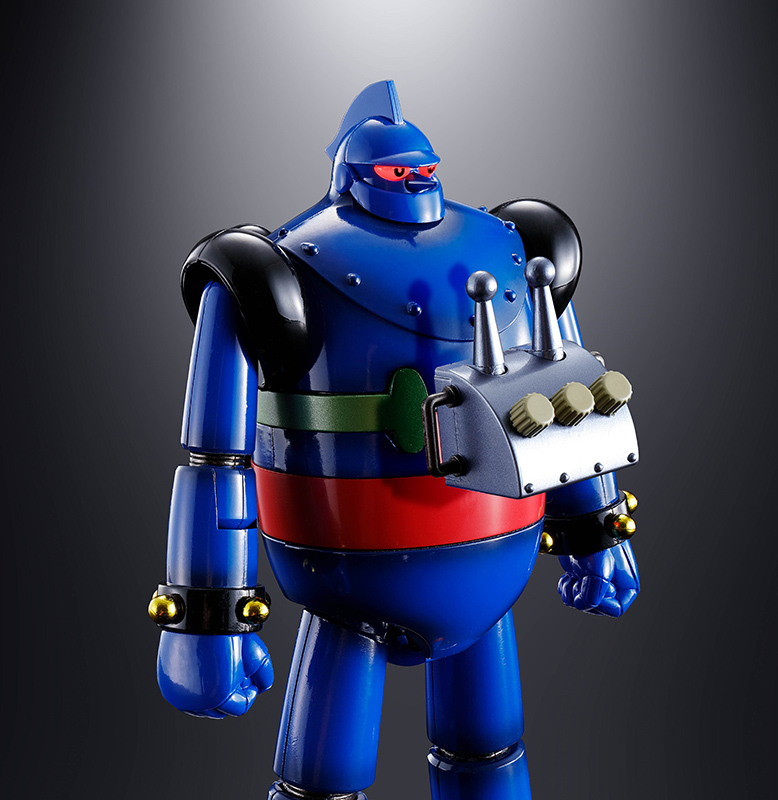 Head-mounted LEDs illuminate the eyes, which you can change to red with the remote control. 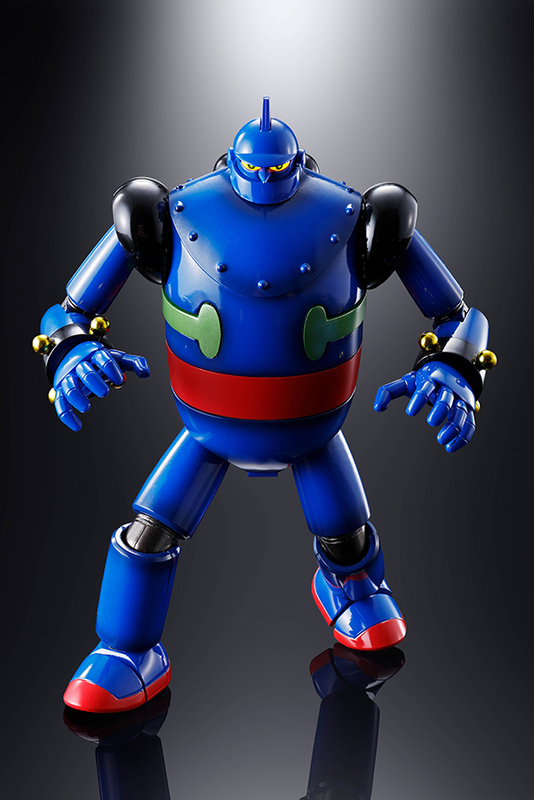 The set includes a Kaneda Shotaro figure, three pairs of optional hands, remote control, display stand, optional damaged arm, and three LR44 batteries.